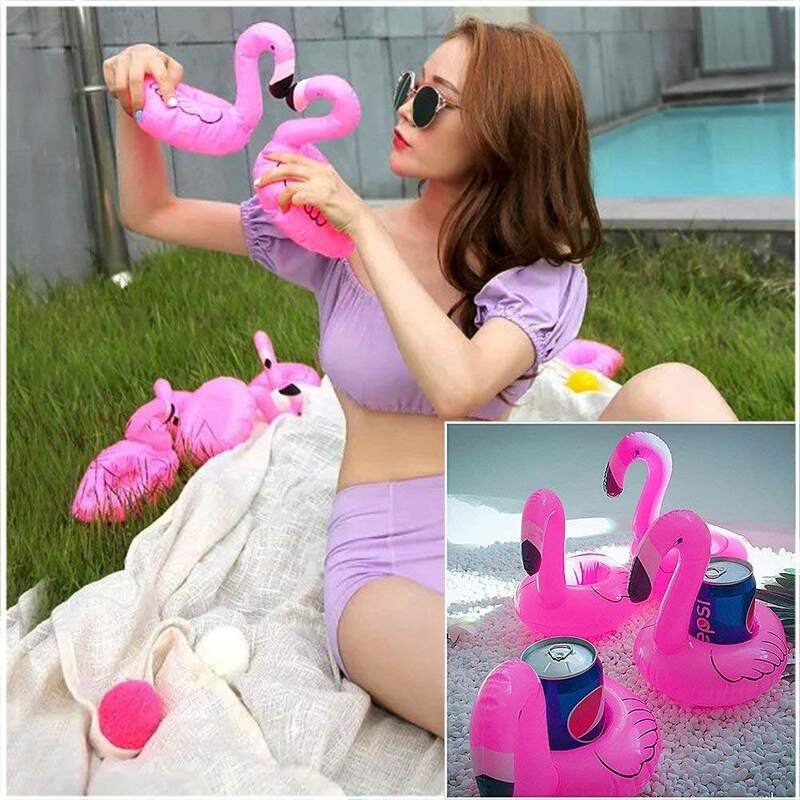 Flock of 8 flamingos per set! GREAT STOCKING STUFFERS!! Perfectly designed for kids and adults. Several would give you a flock of happy pool guests. Perfect for pool decorations at your next beach party or Hawaiian party. They look great floating in the pool and move around with current and wind. 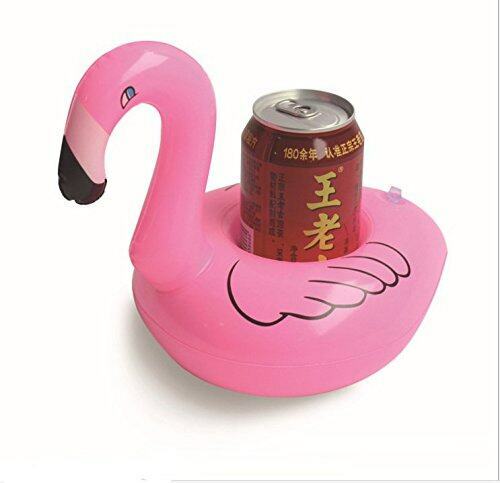 Flamingo will not consume your drink, but WILL add life to your party! Enjoy Your Pool Party ! 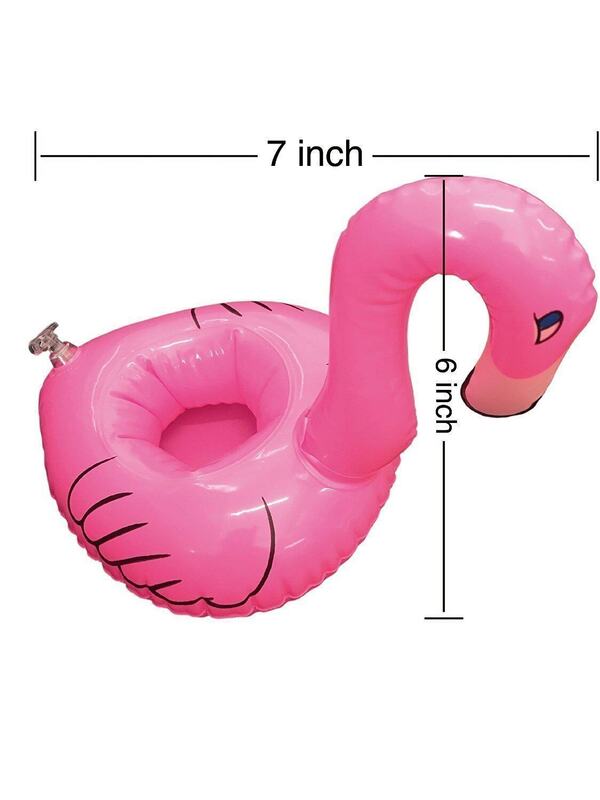 · Super easy to inflate and will bring lots of fun and laughs to your next pool party. 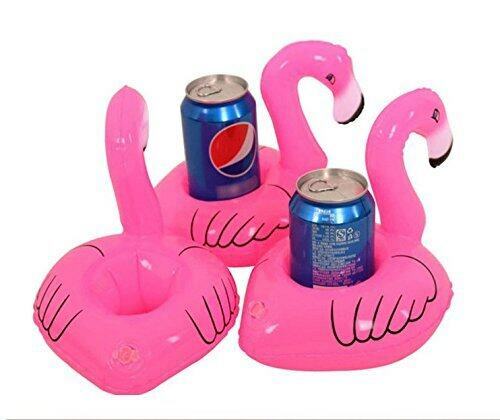 · Bring your pool to life this summer with these fun flamingo floats. Soft drinks, sodas, beer, and wine are essential for each party! SuperLi Coasters holder can help you to carry them with confidence! 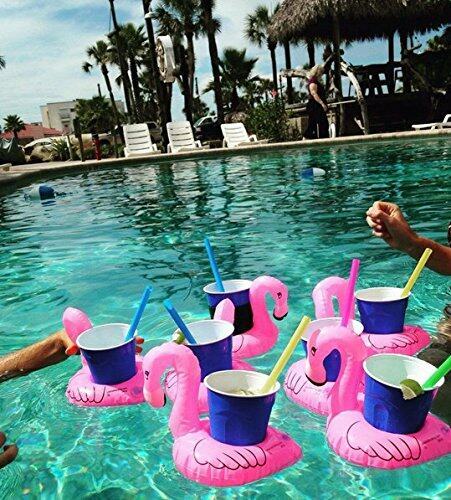 · They hold drinks upright in the water meanwhile you have fun floating around in the pool. 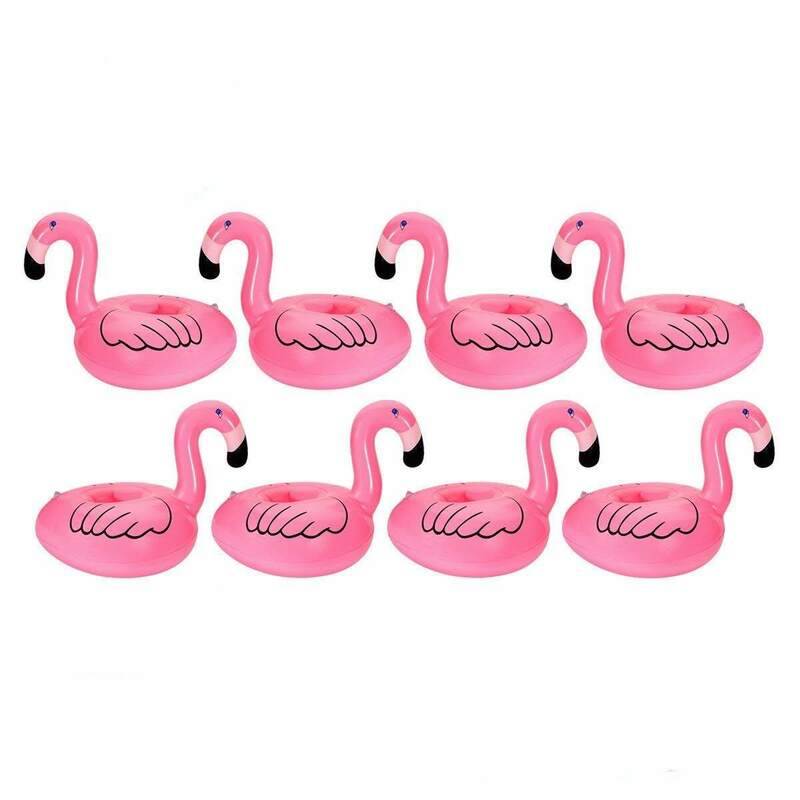 · With 8 pieces of our pool coasters, you can have multiple occasions of enjoyment. · They can be reused. 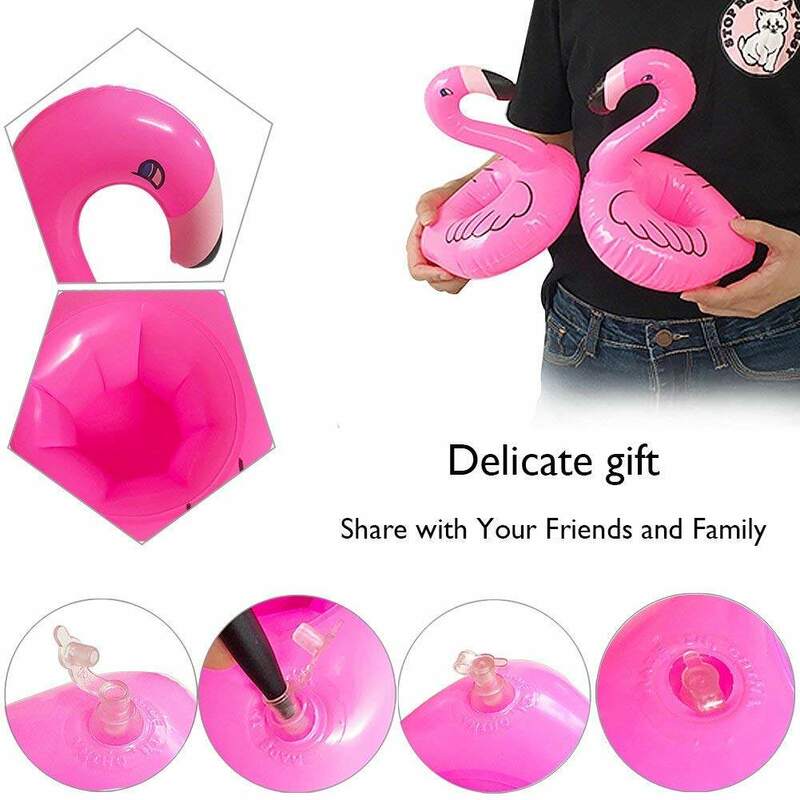 Fun and Functional fun flamingo floats. 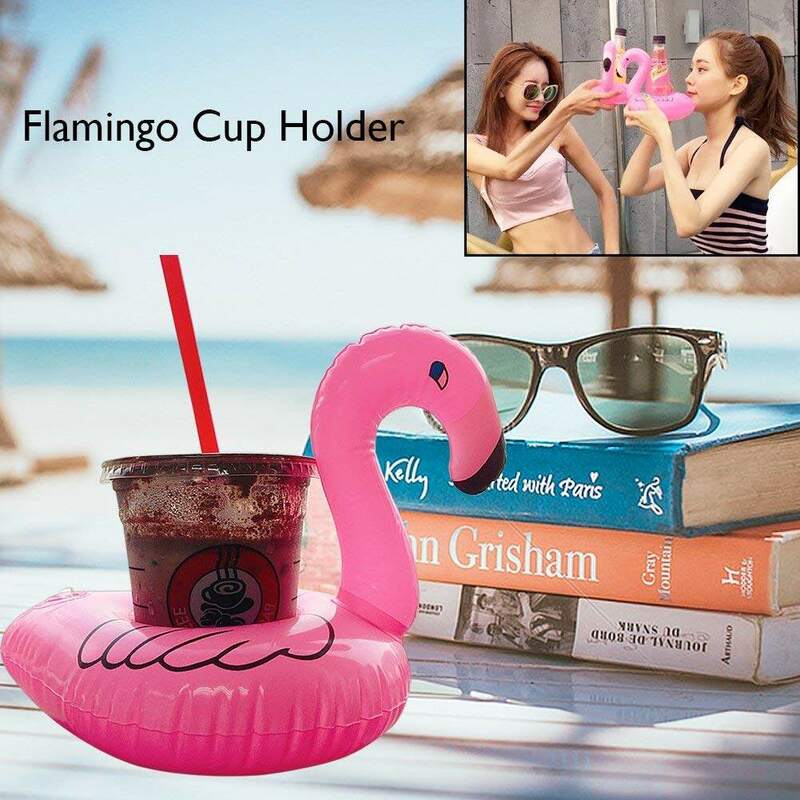 · Flamingo Inflatable Pool Float Cup Holders Are Sure To Be The Life Of The Party! 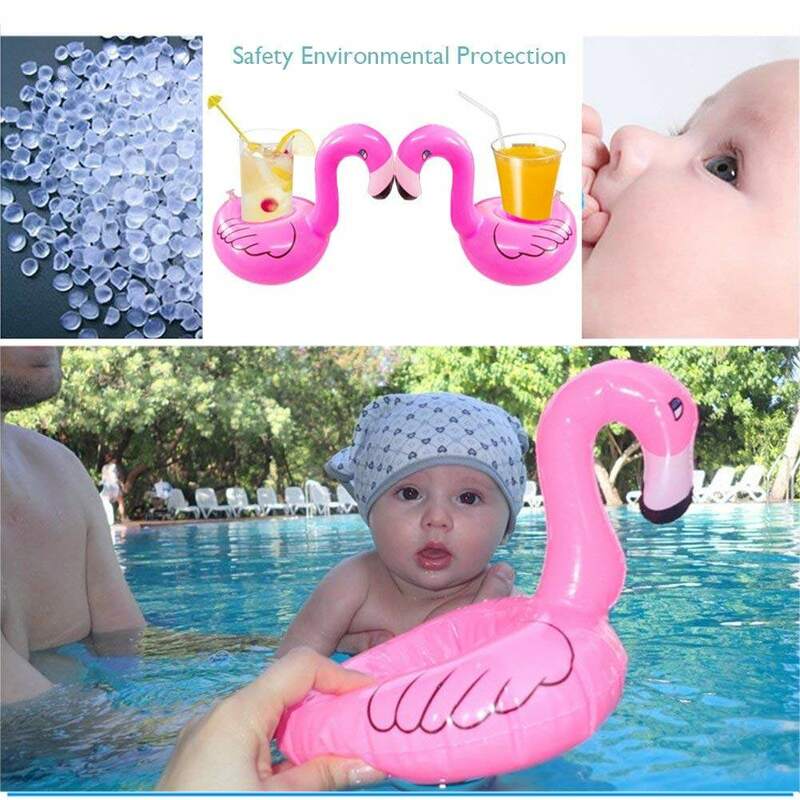 · Children love them during bath time, too!